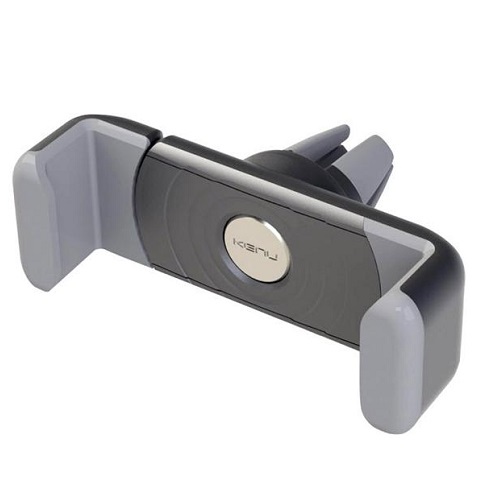 It’s finally here – an improved driving experience and it’s all thanks to a little old thing called the Kenu Airframe – the world’s most portable car mount for smartphones. No more fumbling around looking for your phone, taking your eyes off the road and other unsafe behaviours. It’s simple to use and easy to install – you just attach Airframe on to any air vent, insert your smartphone and off you go! Airframe’s soft, over-molded grips also keep your car scratch-free. It weighs less than an ounce and makes the perfect companion for everyday use, holidays and business trips. The spring loaded expandable jaw securely holds most smartphones (up to 4.8” screens) and can also be used with most cases. Another clever little trick is, you can insert any card from your wallet into the rotating clip, and transform Airframe into the ultimate hands-free stand. No need for suctions cups, adhesives, magnets, or special cases AND it allows easy access to audio cables, and power cords, so you can keep your phone charged while listening to your favourite tunes!